I do love a good party, whether I am hosting one or just attending. I am pleased to announce that I am co-hosting a Twitter Party this Wednesday along with a team of fantastic bloggers and UKMums.tv. 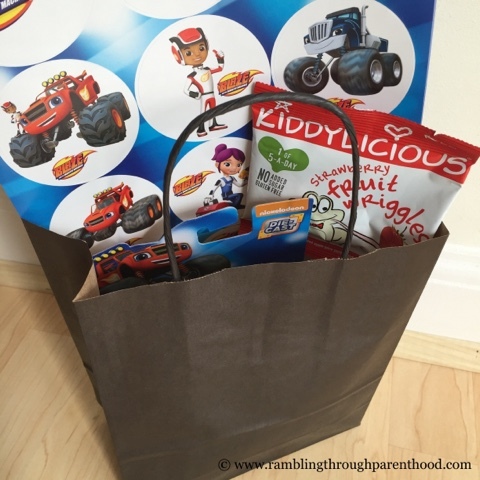 We will be celebrating the launch of the new Fisher-Price Blaze and the Monster Machines toy range that is now available to buy at Argos and Smyths Toy Superstores. 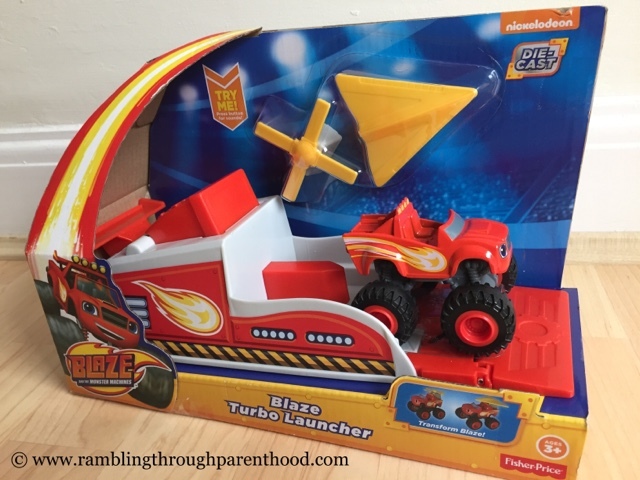 The range features cool new playsets and transforming vehicles like this Transforming Blaze Jet that transforms from a monster truck into a jet when you lift it up. It has wings that automatically pop out or fold back in to help with the transformation. It comes with sounds and phrases to match both the monster truck and jet plane modes. Or these cute little die-cast vehicles that came in our Fisher-Price launch pack. And how about this Transforming Turbo Launcher that comes with a die-cast Blaze and a pair of accessories that can transform the racer to a helicopter or a glider. It comes with an adjustable ramp to add to the fun. The Twitter party will coincide with an hour-long special episode of Blaze and the Monster Machines called ‘Race to the top of the World’, that is set to air on the Nick Jr. channel at 2pm. If you have a pre-school aged child, you probably have already been introduced to Blaze and his friends. Blaze is Axle City's greatest hero and its number one racer. His fast moving and quick thinking makes him fearless and unbeatable. Blaze knows everything about science, technology, engineering and maths (STEM). When things get tough he uses his scientific know-how to transform himself into any machine to tackle the problem. The prep for our twitter party has started. The invitations are out, the goodie bags sorted. We are looking forward to having fun doing our STEM and food activities. I will be posting lots of updates on Twitter throughout the party, so make sure you are there to find out how we got on. You can also catch Blaze and the Monster Machines on the Nick Jr. TV channel every weekday at 5:30pm. Or why not visit the Nick Jr website for more fun activities. 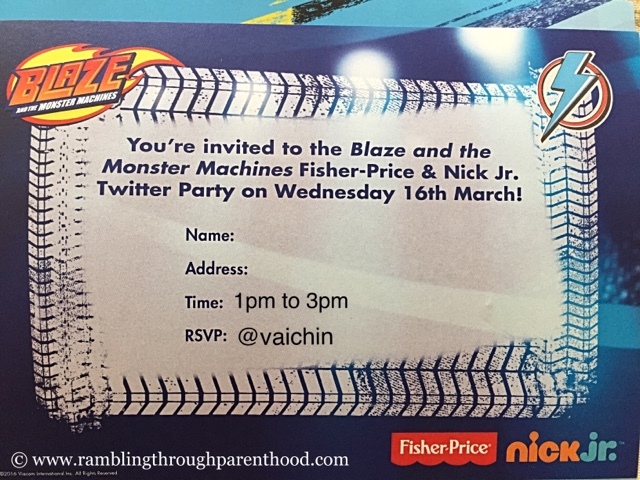 Disclosure: We were sent toys from the Fisher-Price Blaze range and material to host the Twitter party. All opinions are my own. This is a new show on me - we dont have Nick Jr - but it looks right up my boys street! This sounds like great fun. I will be joining the party tomorrow. My nephew will love this toy and Blake. My son would love these. Hope that the Twitter party goes well. I hope the Twitter party went well for you and that lots of people joined in.